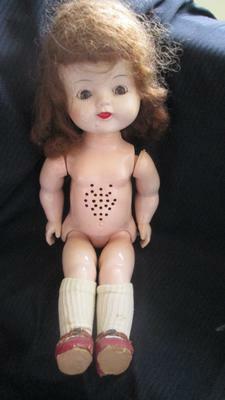 I have a doll that I am having a heck of a time identifying. She is made of hard plastic and has a speaker box on her chest. The marking on the back of her neck is 1 MFCO or 1 MPCO. 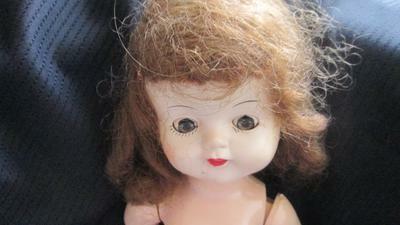 She is 13 inches tall, has sleepy eyes and hard eyelashes. Her hair is sown on from the beginning hairline to the back of her head. Any advice on how to identify is appreciated.